solutions providers by Tribune’s corporate governance team. deliver impressive business intelligence and ease of system integration. internet—to consumers across all of its markets. – all with no coding required. shareholders,” said Ryan Christiansen, co-founder and CEO of Ntooitive. greatly minimize lost revenue due to missed optimization opportunities. key locations overseas. 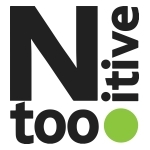 To learn more, please visit www.ntooitive.com. and on LinkedIn at www.linkedin.com/company/ntooitive/. Daily Meal and is majority owner of BestReviews.